Tutu Childcare focus on providing an holistic education and care for children up to five years old in a loving home environment across the Bay of Plenty. With a branding strategy in place, Platform Agency took Tutu's existing logo and developed a visual style to reflect the friendly, bright and warm education focussed business. Using the primary colour palette we used fresh photography of children in situ to appeal to Tutu's target audience. 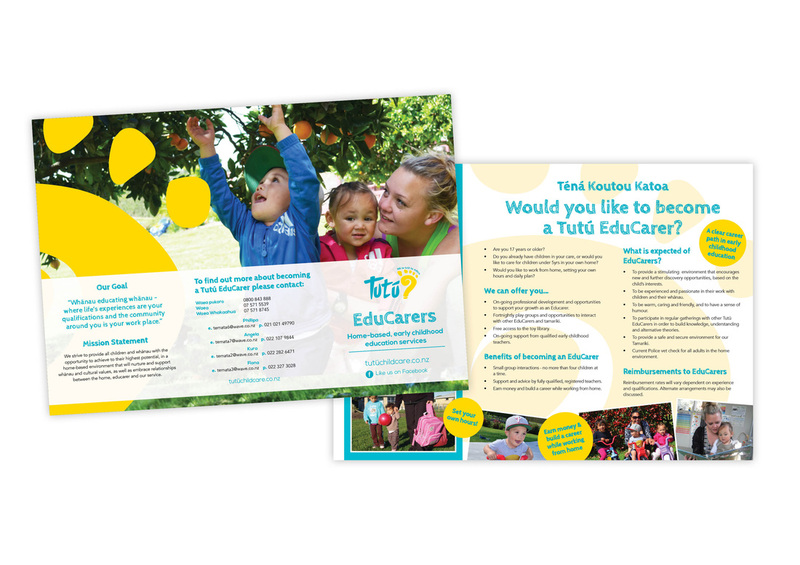 We created a functional and engaging website for Tutu that they can use as a tool to educate parents about Tutu and engage EduCarers to connect with Tutu. 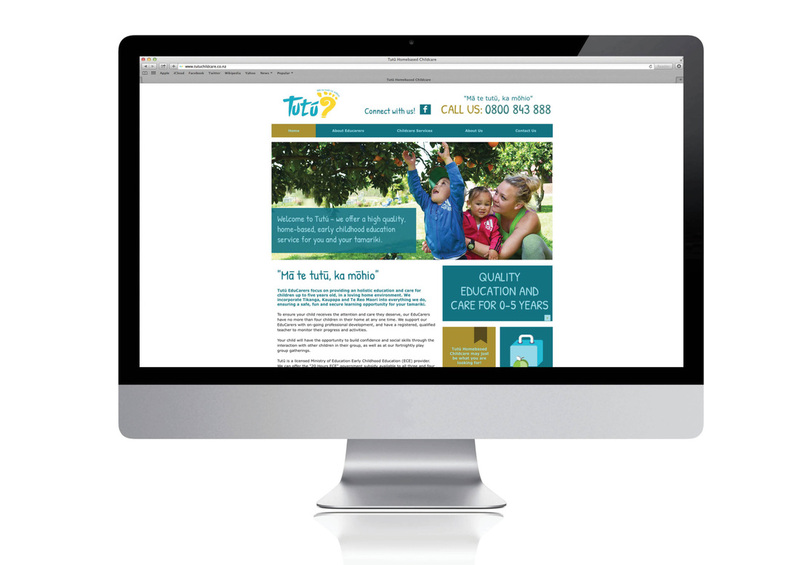 Alongside the website, and as a part of the marketing plan, our graphic designer created a billboard design along with brochures with the refreshed Tutu branding applied and revised content.